Pakistan hockey legend Mansoor Ahmed died on Saturday after being ill for a long time due to a heart ailment. 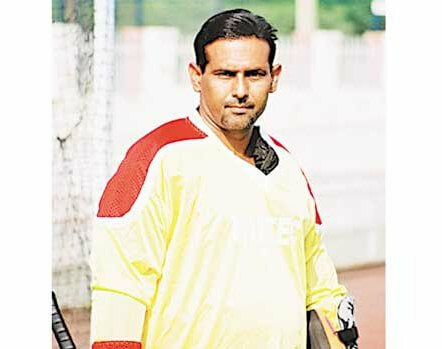 The legendary goalkeeper, known as the hero of the 1994 hockey World Cup, was 49 years old. He was admitted to the hospital on Saturday morning and was put on ventilator, but didn’t survive since his heart was functioning with only 20 per cent efficiency. Mansoor had represented Pakistan in 338 international hockey games between 1986 and 2000. He also captained the Pakistan team for a short time. The 49-year-old had been suffering from complications stemming from a pacemaker and stents implanted in his heart. Ahmed was a sporting icon in Pakistan since helping the country win the 1994 World Cup in Sydney with his penalty stroke push against the Netherlands in the final and had called out India to help him. Ahmed — who played 338 international matches, participated in three Olympics and various other high-profile events in a career spanning from 1986 to 2000 — had said the visa could be a lifesaver.